I think this is the best fried squid recipe I found. 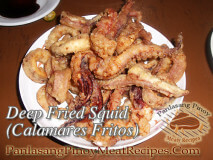 Try this one and you will surely love the calamares fritos. 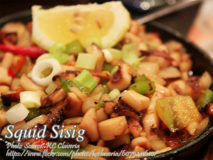 One thing I..
Squid sisig is another version of the famous sisig aside from the pork, fish or chicken sisig. 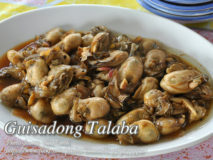 Sisig has become so popular that there are..
“Ginataan” or coconut milk based dishes are varied in Filipino cooking. 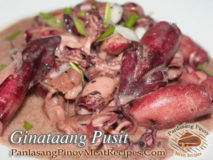 There are lots of Filipino recipes that includes coconut milk from viands to desserts,.. This is a local dish of stir fried oyster meat with garlic, onions and tomatoes and of course spices and condiments. Actually “guisado” means stir-fry..
A spicy side dish that is also an excellent accompaniment for fried or broiled-fish and meat. With regard to santol, honestly I didn’t know how..